Sometimes, children with speech sound difficulties tend to give slightly less eye contact. This means that they don’t look as much at other people when they are talking. This is not always the case, but I have often had parents comment on it. Certainly, when I am doing speech sound therapy, I spend a lot of time trying to encourage the child to watch my face and copy – generally their ability to say the sound is much better if they are really watching what I am doing. 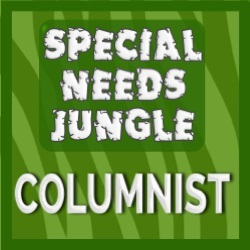 Just one word of caution before I start – I am talking here about children with speech sound difficulties. Children with other difficulties, in particular those on the autistic spectrum, can find eye contact difficult, even painful. With these children, it is counter-productive to insist on eye contact. It is so difficult for them that they can’t focus on anything else. If this is the case for your child, these ideas are probably not helpful – they won’t make any difference anyway, and it is probably not the most useful thing to work on. 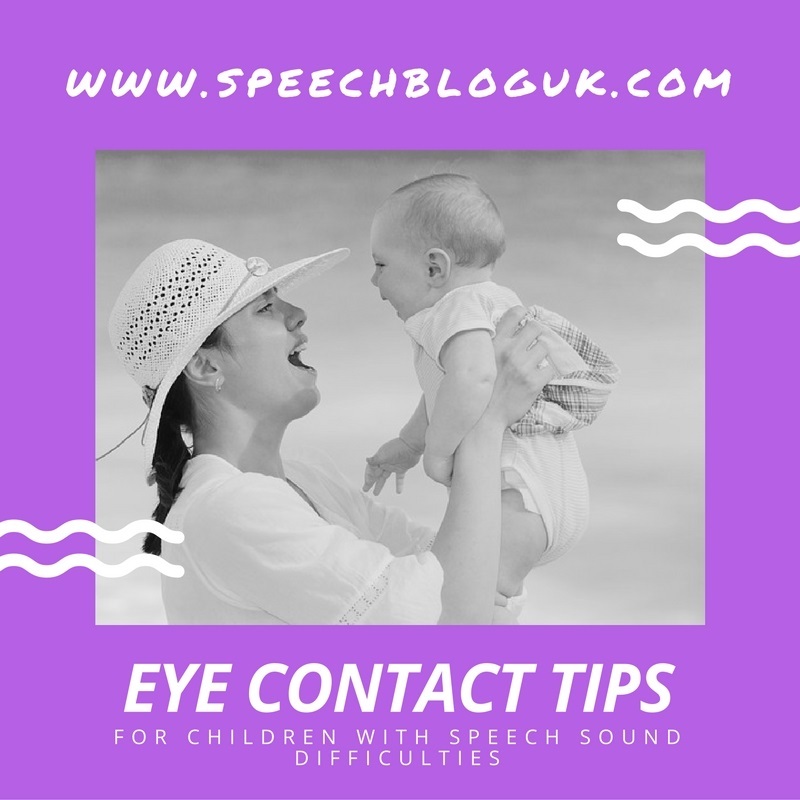 However, for many children who have no other difficulties and just need to work on a few speech sounds, encouraging them to look at you more, especially during the times you are practising speech sounds, can really help. So, how do we do this without constantly saying “look at me”?! I have to say, that I do usually end up saying “look at me” quite a lot too! However, here are some other ideas that can work really well with many children. Get on your child’s level. If your child is sitting on the floor, you should sit on the floor too, so you are at the same level. I sometimes find myself moving several times through a session so that I am in the best place to get eye contact relative to where they are. Sometimes, I will lay on the floor but usually sitting is sufficient. Use toys. I often move the toy we are playing with up to my face. I wait until the child is looking at the toy or game piece, then I move it slowly and the child’s eyes often move with it. As soon as their eyes reach my face, I say the sound I want them to watch. I sometimes even do this with my iPad – I bring it up next to my face and then close the case so that they can no longer see the screen! Use your hands. This is one of the many reasons why I usually use Cued Articulation during my speech sound therapy sessions. Using your hands to make a sign to go with the sound, is often a great way of encouraging a child to look at you while you’re talking. You can also use a finger in a similar way to how I described using toys (this is a trick I learned from Elizabeth). Put your finger out in their line of sight, then when they focus on it, move it up to your face. Use bubbles. Most speech therapists I know love bubbles! I am no exception. There are many things they are great for (see our post here) but one of them is for encouraging children to look at your face. In the anticipation of waiting for you to blow a bubble, most children look at your mouth. 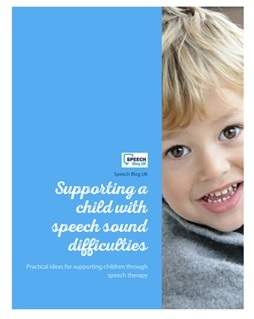 Try saying a sound and getting the child to try copying, then blowing some bubbles. Use a mirror. Most young children enjoy looking at themselves in a mirror. Sit side by side with your child and look in a mirror together. Lots of children find it easier to look at your reflection than to look directly at you. This is often a fantastic way to encourage children to watch you saying a sound. What other ideas do you have for encouraging children to look at you when practising speech sounds?